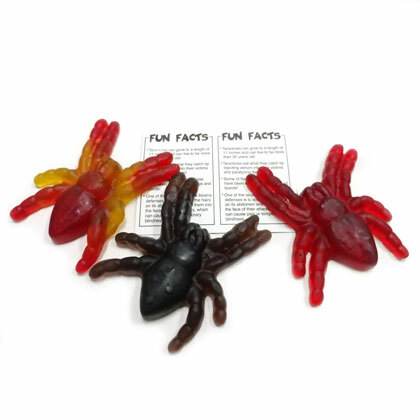 Individually wrapped gummi tarantulas by Jelly Belly. Includes tarantula fact card. Flavors include grape, cherry, and cherry/lime. Made in USA. Net weight 1.5 oz. Approx 3.5 inches long.